I just caught up with Mandi at Darn Good Lemonade and Carol at Paw Paw Salad. 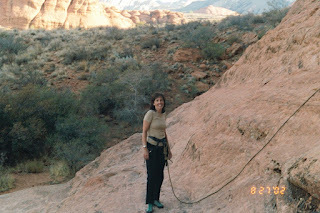 Mandi talked about her love of rock climbing (yes!) and Carol posted a picture of a painting which she bought that is especially meaningful to her. 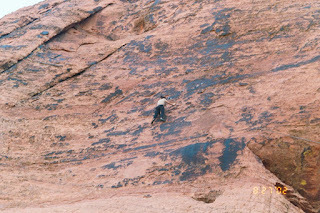 It made me think of these pictures from a trip I took to Utah in 2002. 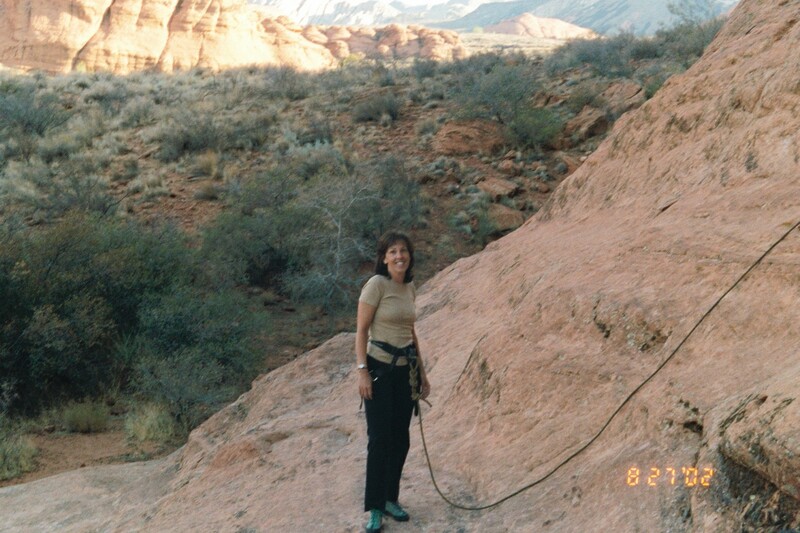 Not sure I can do this -- my first time rock climbing. On my way up and figuring out my next move. ﻿When I look at this picture, I think - if I can do this - I can ANYTHING! This pictures remind me of what my life used to be like -- I want my life back. 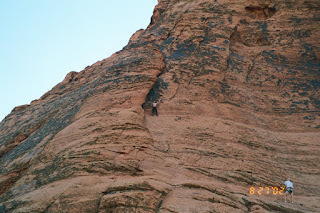 Look at those beautiful climbing photos! I live in Utah, lots of beautiful places for climbing. I keep convincing myself that I am going to take up hiking. Just give it time. This part is tougher for me emotionally than treatment sometimes. We have to make the best of what we can and remember that we have to heal emotionally and physically after everything.